What can start off being a small issue can soon escalate within days or even hours to causing real problems with additional rubbish and cleaning being required, and bringing any regular refuse collection throughthe council or supplier to a grinding halt. And rubbish is big business nowadays, with everyone tending to generate so much more in our consumer society, and the emphasis being on reducing costs and increasing the recycle element. 1. Set up and use any separate recycling arrangements. This may be automatic through the council, or you may need to arrange separate bins and arrangements which often actually end up being cheaper than just general collections. 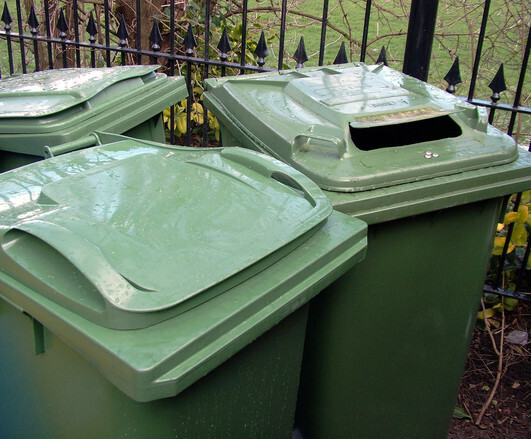 Although the bins or areas are often different colours or sizes to easily identify them, it is often missed meaning people do not both bother to place them in the right area and things don’t then get collected. As well as putting up any posters and handing out leaflets, to may be worth sending a quick note or email around to everyone to make crystal clear what goes where, and if there’s any way they need it bagging-up, or even say a separate trip down to the local bottle-bank. 2. The other general rubbish has to be used sensibly. Hopefully this isn’t too much if you have recycling in place, and often just in a straight forward bin bag into the main bin, but ever so important for this to be used at a sensible level. 3. Clear arrangements for any additional rubbish being generated. So even if this is permitted, then letting people know where and what it can be, particularly when they move in or out of an area and there are say moving in boxes or old furniture being thrown away. Be clear on whether individuals or the person managing the area arranges these to be removed through the council or another supplier, including any specialist services (check out this post from last year as well). This additional rubbish can not only look awful, but cause a blockage for the regular refuse being collected correctly. 4. Explain the consequences of things going wrong. So if there needs to be any additional notices and charge raised, and timescales for people to resolve. On some sites we are asked to identify any individuals we see leaving any rubbish, and even any delivery names and addresses left on items that can identify them and help direct any correspondence.